A lot of us talk about income stability without actually understanding what the over arching purpose of income stability is. I like to reframe it as creative and professional freedom and it’s something we all crave. 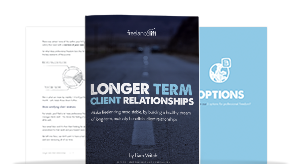 It’s too easy to accept unpredictability and ‘project-to-project’ work so in this book and video course I want to address the fundamental knowledge required to consistently build longer-term, mutually beneficial client relationships. 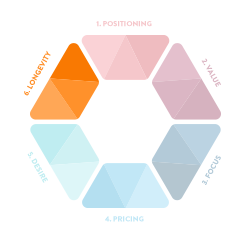 You can make freelancing more stable by developing more of the ‘right type’ client relationships, here’s how.